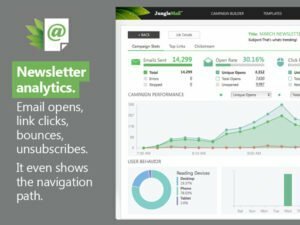 – Subscribe and Unsubscribe Users. 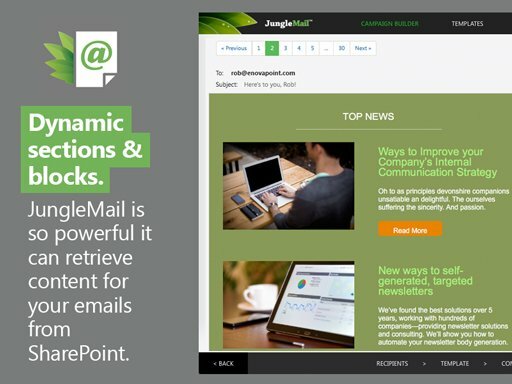 Send Beautiful Newsletters, Reminders, Group Emails and Marketing Campaigns without leaving Office 365. Track Link Clicks, Email Opens, Unsubscribes and Bounces. 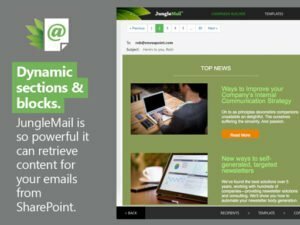 Populate emails automatically. 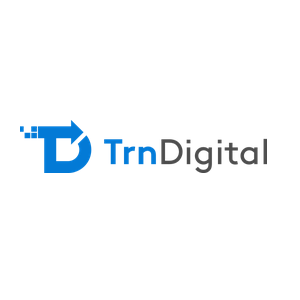 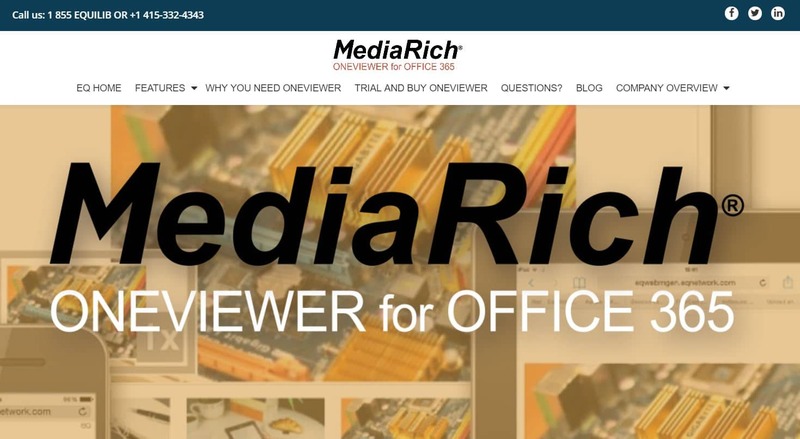 Intranet news, Upcoming events, Blog posts: Your newsletter content could be self-generated. 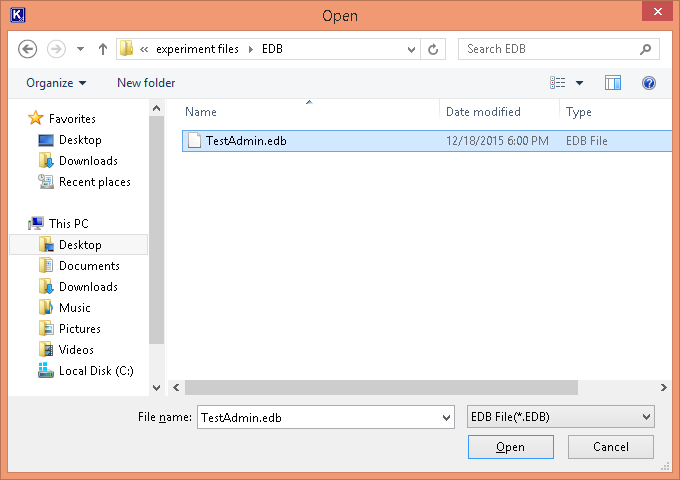 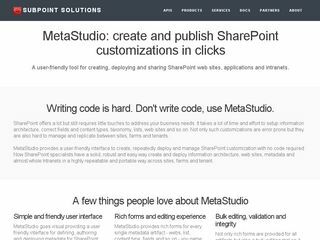 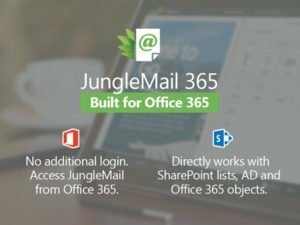 The only mass mailing application that really integrates with SharePoint Online. 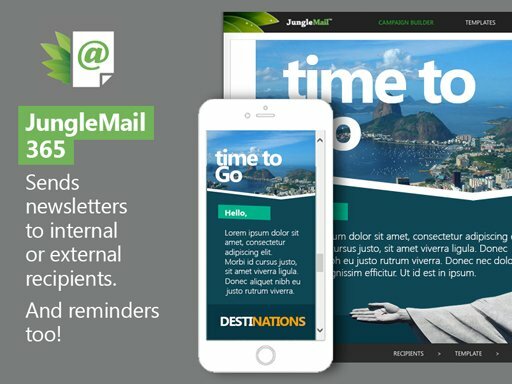 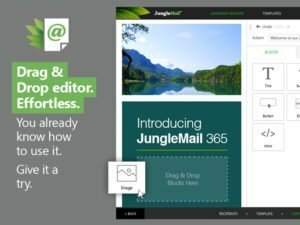 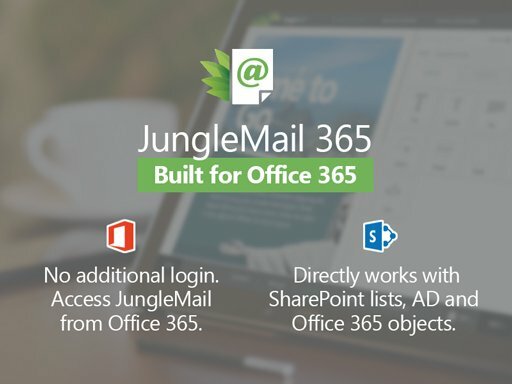 @spcomm Unfortunately JungleMail 365 doesn’t support Global Audiences, but it works with SharePoin users, SharePoint groups, AD and Dynamic Distribution groups.